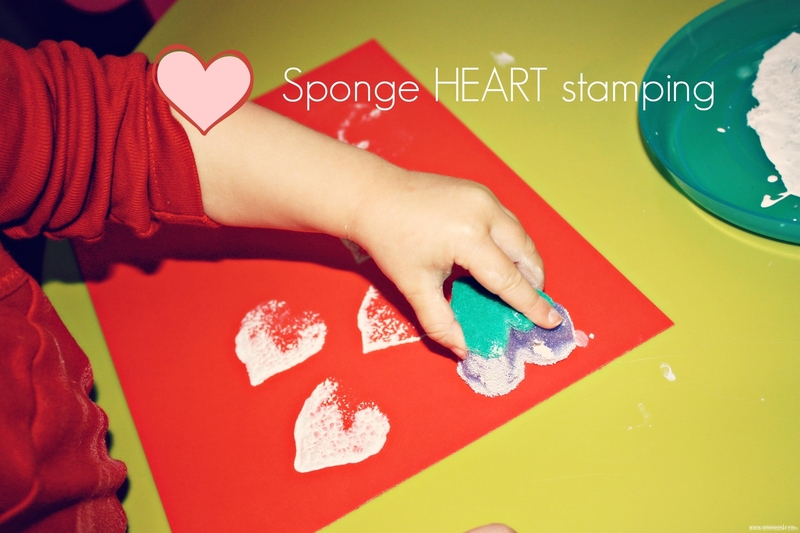 This is a VERY simple, yet incredibly fun Valentine’s Day – or learning about Hearts – inspired activity! 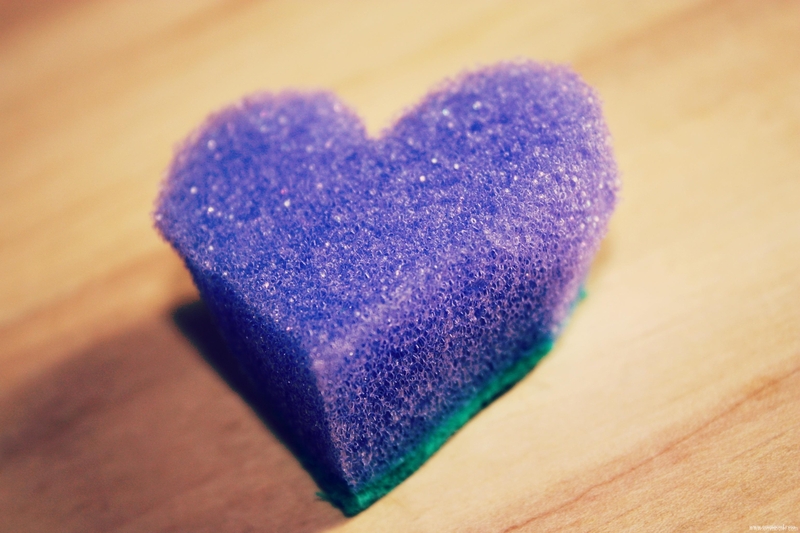 All you need is a sponge, some card or paper and paint. I cut out a heart. First I drew it onto the sponge and then used sharp scissors to cut it out. Worked a treat! And then we dipped it into paint and off we went! However you use it, we hope you enjoy it!